In 1997 the long time Babaji devotee and international sacred dance teacher Malti published some of Babaji’s speeches with commentaries in German. Now I AM YOU is available in English. The material includes some of Babaji’s paintings and is topically organized and accessible in ways that were not available in other Babaji books. The book contains extracts of some of Sri Babaji’s rare addresses in his ashram at Haidakhan. It is highly recommended, as much of what Babaji told us has now been translated more accurately. 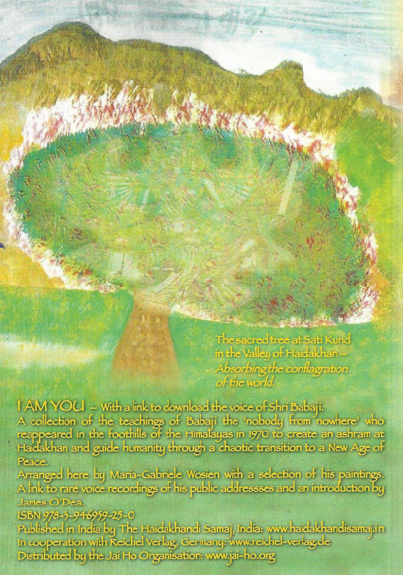 Malti writes: I AM YOU – With a link to download the voice of Shri Babaji – A collection of his teachings, the “NOBODY FROM NOWHERE” who reappeared in the foothills of the Himalayas in 1970 to create an ashram at Haidakhan, and guide humanity through times of chaotic transition to a New Age of Peace. 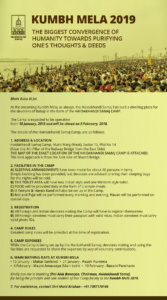 Arranged here by Maria-Gabriele Wosien (Malti), international teacher of Sacred Dance. It includes a selection of his paintings, a link to rare voice recordings of his public addresses, and an introduction by peace and environmental activist James O’Dea. “The whole world is burning – destroyed by water and fire. Babaji shall see that there is great peace in the world”. The simple ethical code of ‘Truth – Simplicity – Love’ and the prayer ‘Om namah Shivay’ – I devote my life to God – Babaji proclaimed the foundation of his teaching. 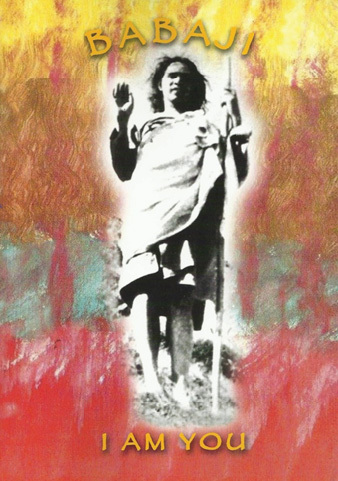 The dynamic impulse of the intention behind the message is particularly reflected in Babaji’s voice-recordings, made on different occasions throughout the year of 1983. They touch the listener on an inner dimension that words alone cannot access. It is hoped that this publication will be a contribution to ignite in the reader and listener the energy latent in the mantra ‘Phuro – wake up!’ which Babaji gave out towards the final months of his public life, to help overcome the obstacles on journeys ahead.